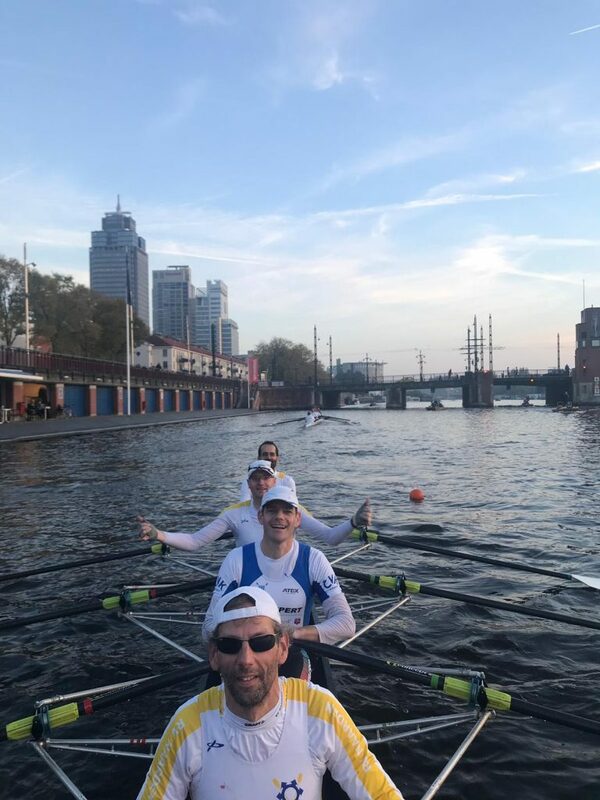 Our CVK Brno/Naarden coxed quad was racing in block 3, so there was time enough in the morning. We arrived in Amsterdam around lunch time. The water was nice and flat. 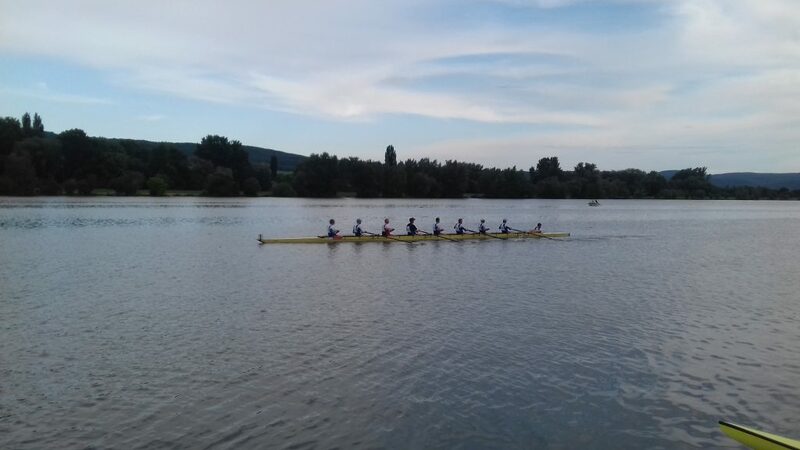 I watched the races of Block 2 from the banks at the Omval, close to rowing club RIC. The weather was nice, although humid and cold, but it wasn’t raining and there was a light tail wind. Finally, it was time to launch. As we were the last boat in our division, we also launched last, so we received some comments from the umpires to not lose contact with the other boats steaming up to the start and receive an official warning. As we were a relatively fast boat, there was no problem whatsoever. We steamed up to the start line in our usual 24 spm, about 10 minutes before the start of the first boat in Block 3. We quickly found our position among the large crowd of fours and quads, and waited. The sun getting lower, and we ended up having to wait in the shadow. That made it a little colder, especially when we removed our turtle shells and prepared to race. 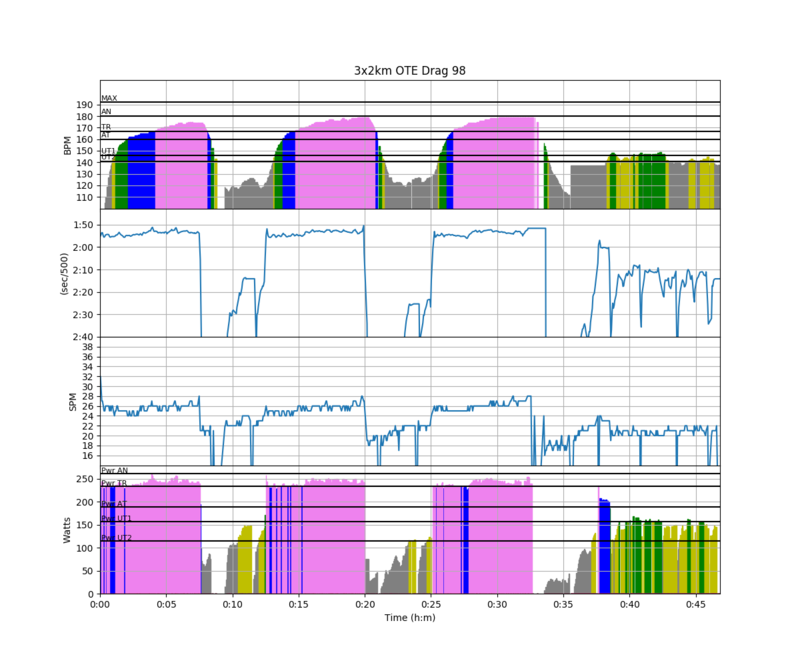 The chart shows only the race part, plus perhaps 100m of getting up to speed. As you can see we settled into 31-32spm and never lost that. 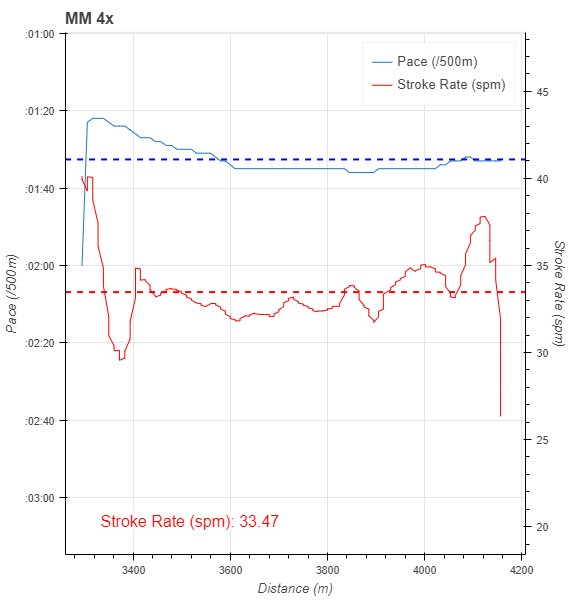 The heart rate values are not correct for the first part of the race. 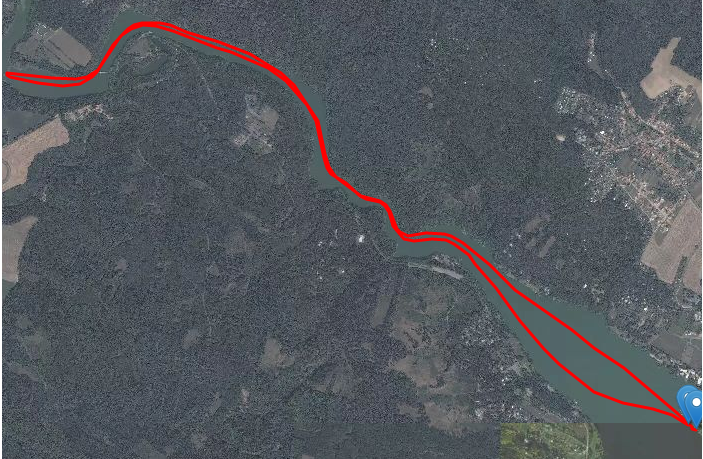 I was fiddling with the Polar OH1 before the start, and I think it didn’t make good contact, until it snapped into place in the second kilometer. I am not sure at which point this picture was taken. I guess from one of the bridges. The water was a bit rougher than I had expected. I think this had a lot to do with rowing as the last boat in our division, with 80 or more boats ahead of us. Immediately from the start, our coxswain started encouraging us, letting us know that we were making ground on the crews ahead of us. Eventually it took until the Omval (1.5k to go) when we started to pass crews, but now we were passing them fast. We gained contact, quickly rowed through a crew, and sprinted to the next one. About 200m before the Berlage bridge I told Dennis that we could rate up a bit, which he did. I just wanted to let him know that I was ready to start emptying the tank. Now we had 800m to go. Rating up brought some unrest in the crew, so we stuck at 32/33spm. It was a long stretch rowing from the Berlage bridge to the finish at De Hoop rowing club. Immediately after crossing the finish, our coxswain got his phone out of his pocket and announced that we were in the first 20. In our division, we were 19th out of 63 boats. Not bad. Funny that we finished on a shared 19th position. 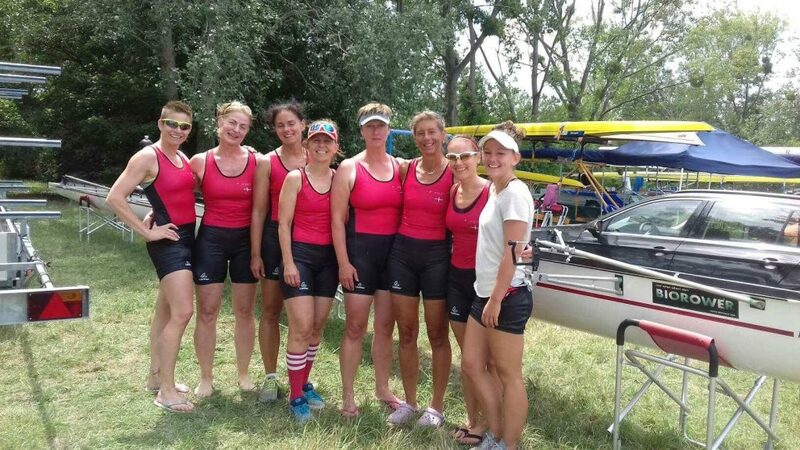 The first 6 boats of our division were all rowing with formed elite rowers (mostly Olympians). We spent an hour preparing the boats for transport, and then it was time to get warm by taking a shower. I had some time for a quick coffee before I was headed to the airport. Took a flight to Munich, where I arrived at 1am, slept for a few hours and then continued with the 6am flight to Toulouse. What a great race day! That was an intensive experience. 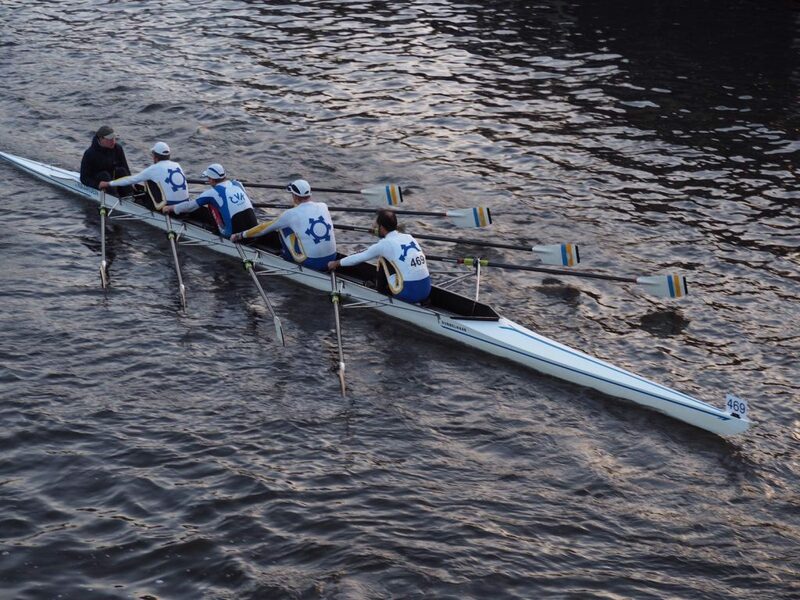 The one and only training of the Masters C 4x+ Naarden/Brno combination, Richard, Jos, Sander and Dennis. I was on 3 seat following the stroke Dennis. It was a glorious but cold November morning. 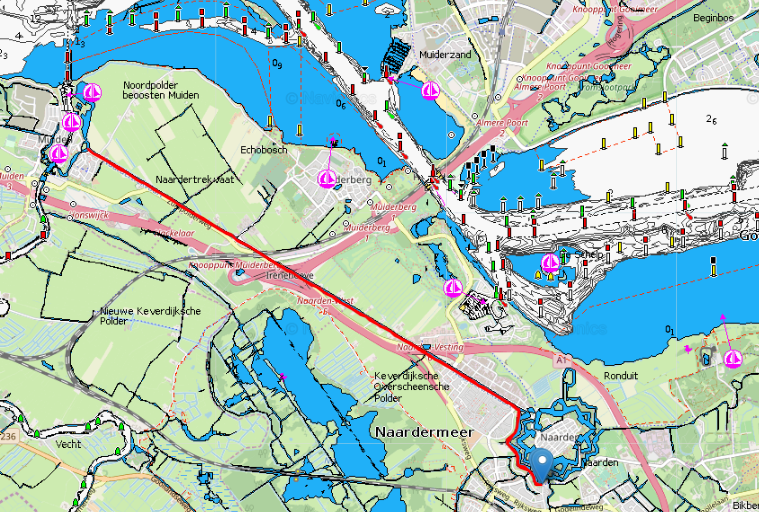 In the warming up we started at 24spm straight away, zipping around the Fortress of Naarden. This was tough for me on three, as my main job was to copy and reinforce the stroke rhythm of the Dennis, but I was a tad slower on the tap down. These guys row an aggressive tap down! 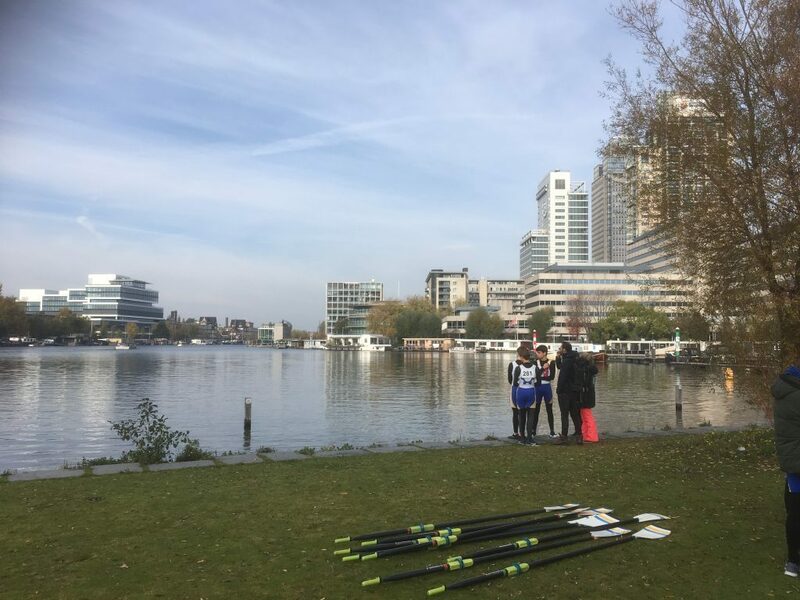 After about a kilometer, we arrived at the beginning of the Muidertrekvaart and that’s where we used the 4km to do various drills. Fixed seat, quarter slide, full slide at various pressures and stroke rates. It was fun. Passing under the Hakkelaarsbrug we started the final stretch of the “there” part of the row, starting gently but then pushing up the stroke rate to finish at 30spm after two kilometers. I was working hard, and you can see it from my heart rate response. On the “back home” part we started with a drill again, alternating full length strokes with quarter sliding. 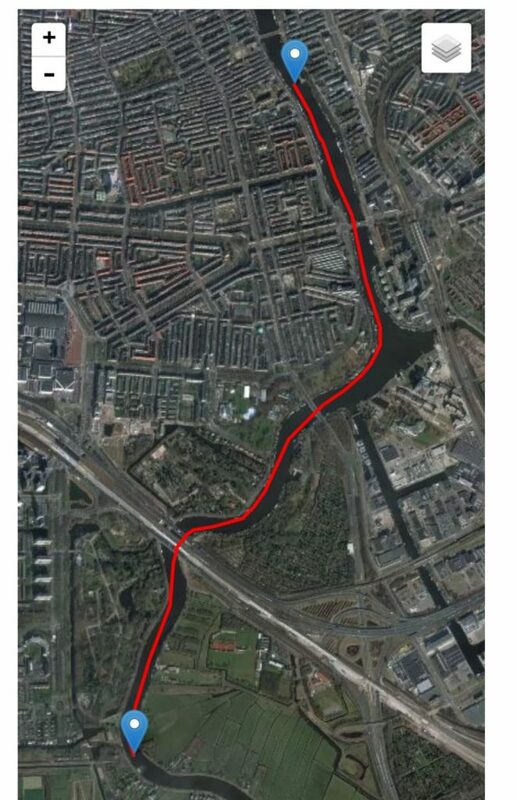 At the Hakkelaar it was announced that we would do the next 4km in steady state, 28 spm. Okay! That was the race prep! On Sunday (this afternoon) we’re racing in Amsterdam. 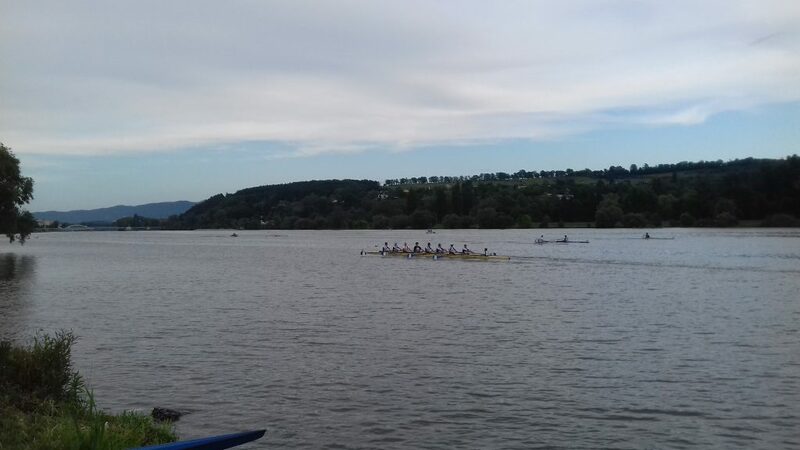 Half of our Head of Prague eight decided to go out as a mixed quad on Sunday afternoon. I sat on three seat instead of my usual stroke position and I loved it. Because of the heavy wind, we chose to go into the gorge and enjoy the autumn colors and the castle. It was absolutely gorgeous. As it was the day after the race, it wasn’t a very taxing row. 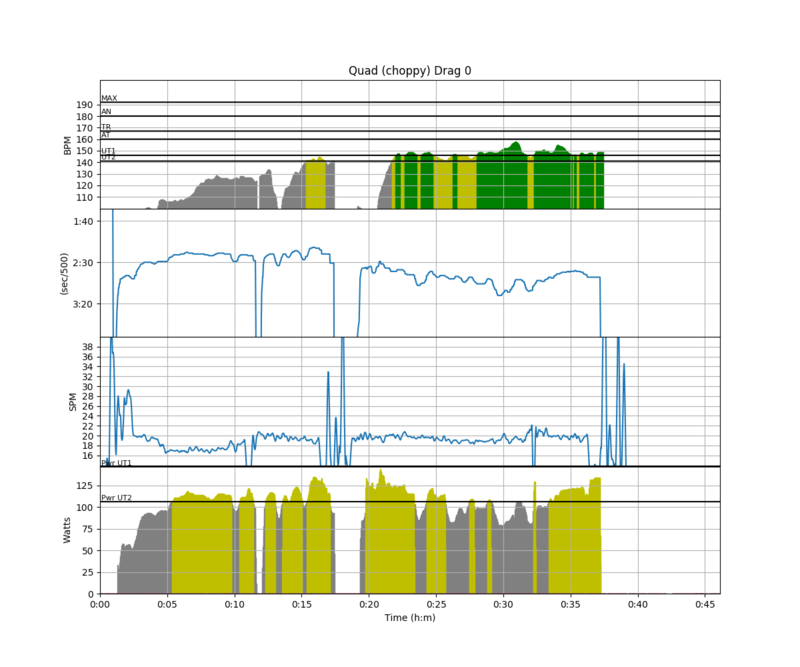 Recorded with the Garmin because I left my SpeedCoach as well as my phone at home. So no stroke rate data. This week is supposed to be a volume week, but I have to represent my boss at a meeting in Brussels, which cuts out almost 48 hours. Not knowing exactly how the rest of the week will unfold training and energy wise, I decided to take the heavy session today, even though I had raced just two days ago. I thought I could consider Sunday’s row as a recovery row. I thought 240W would be a good target power for this 4x2km/5min row. After one interval, I was convinced I was doing fine. After the second interval, I knew the third one was going to be hard. After the third interval, I negotiated a lower power for the fourth one with myself. 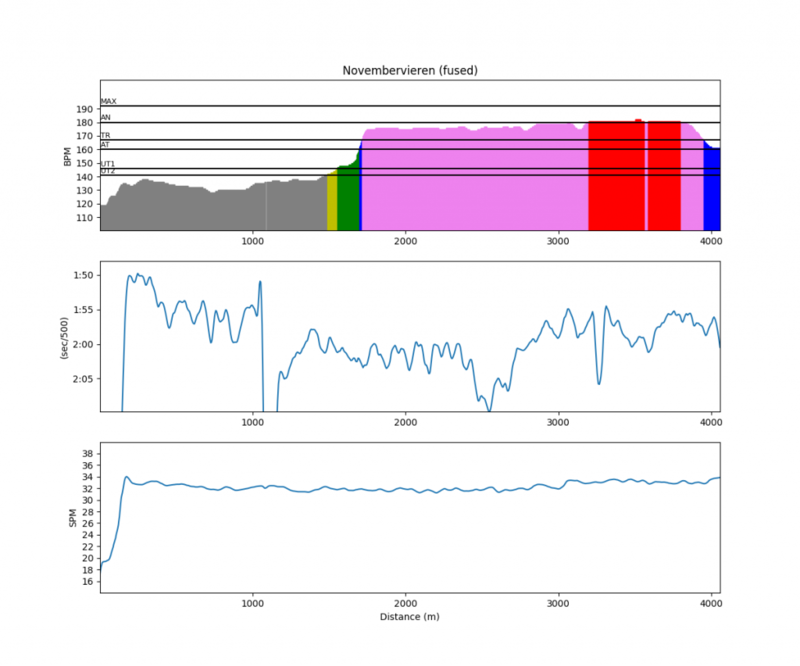 After 100m in the fourth interval, I broke down completely and just rowed a 2k cooling down. I forgot to pull a stroke in the fourth rest interval, which messed up the stats a bit. The total distance was a lot less than 16km. 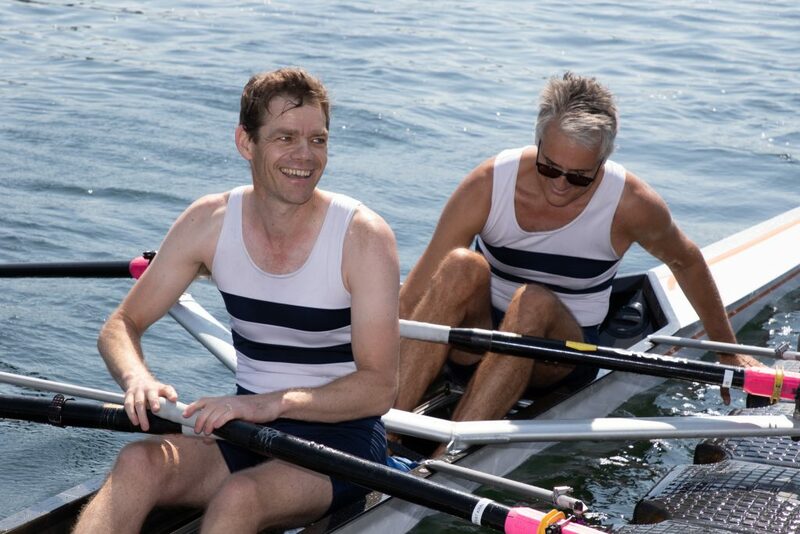 Oh, I rowed with the Quiske pod and RowP app during the warming up. I may have inserted the pod the wrong way under the slide, because I got 0 score for “Seat Stopped” and “Leg Speed”. Will try next time. I like how the app gives feedback during the row. This is it. The end of the sprint season is slowly arriving. 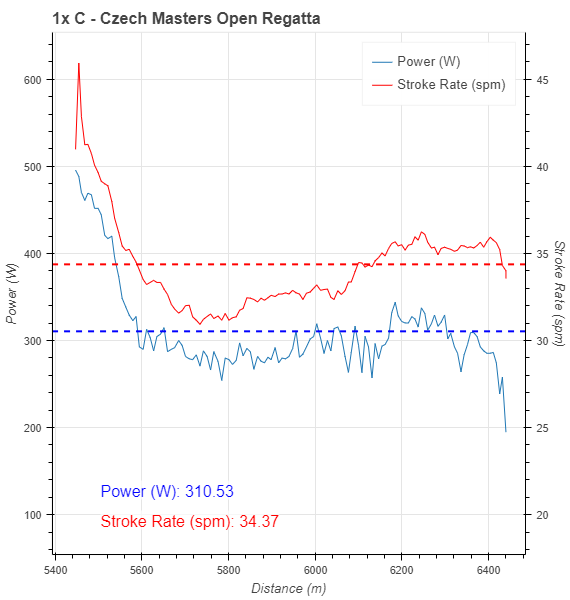 This is my #2 race of this season, the Czech Open National Championships for Masters. My #1 race is the Euromasters in Munich, in the last weekend of July. It’s actually hard to tell which race is tougher. 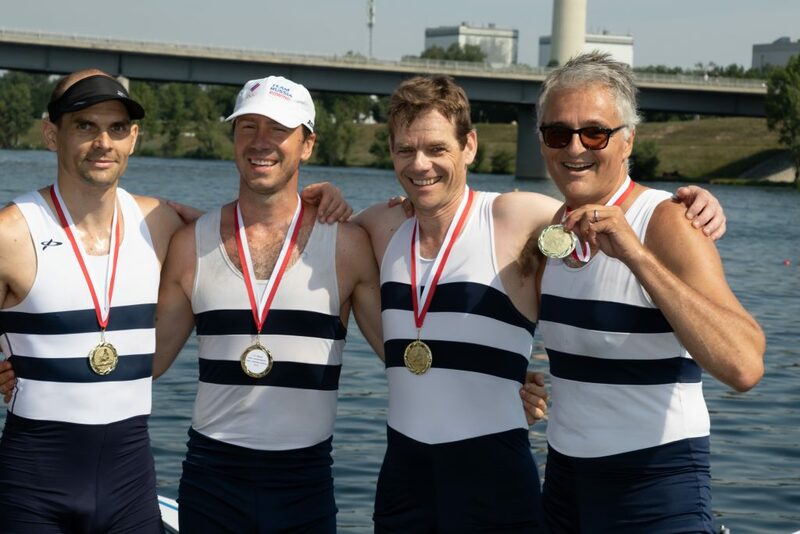 The Euromasters regatta attracts more rowers, but that also means that races are divided in multiple heats, and that means you are not always up against the fastest rowers. 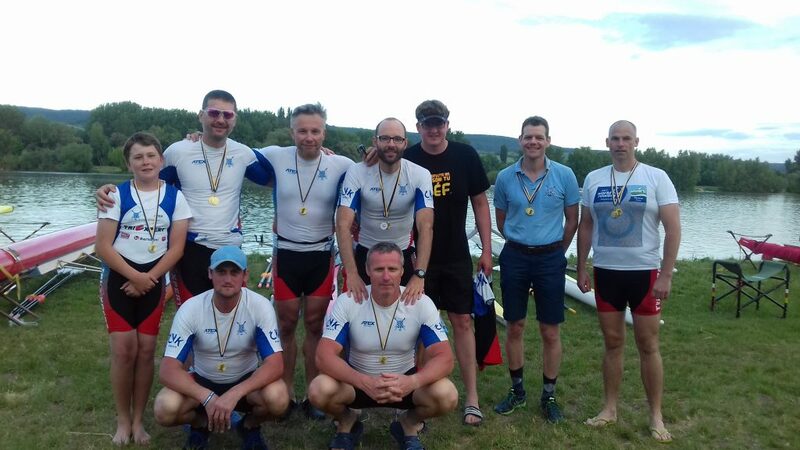 The Czech Open attracts rowers from Slovakia, Czech Republic, Austria and Germany, but especially from the Czech Republic there are a few Masters rowers who only compete in the Czech Republic, and they are pretty hard to beat. Starting with a race in the single is always hard. It’s the boat type I train in most often, it is closely watched by everyone, and it’s the first race of the regatta. This one requires a very thorough warming up and strong nerves. By the time it is time to boat you see a lot of very serious looking masters rowers walking around the venue. 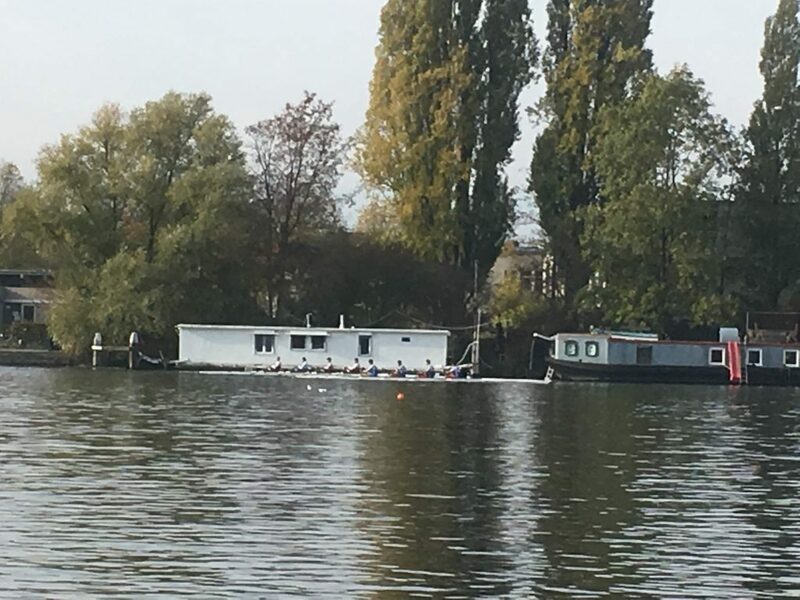 “You look like you are about to go in front of the firing squad,” I heard one of the single scullers being told. The guy answered that he might prefer the firing squad. I considered myself an outsider. 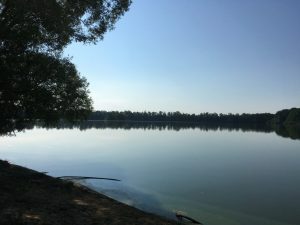 My training has been less consistent that I planned, mainly because my work and travel has become busier than anticipated, which is a good thing for me but it conflicts with training consistency. 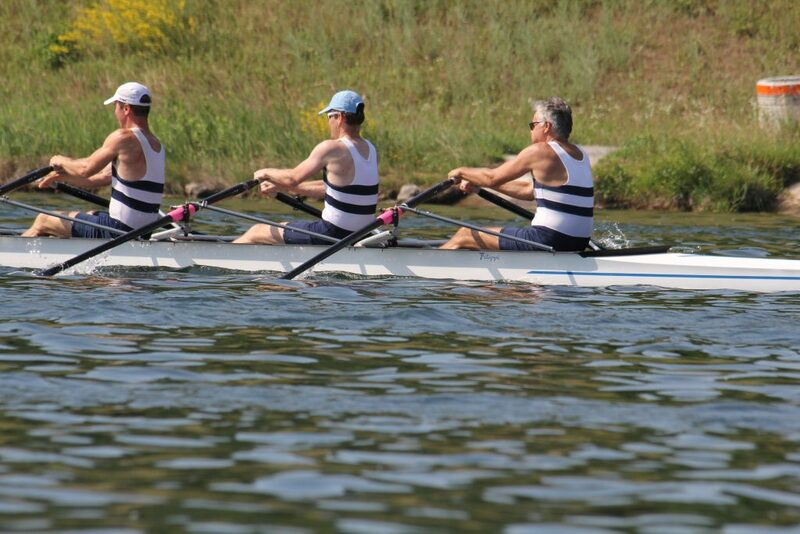 Also, I have done fewer “practice” regattas this year, so missing some race sharpness. After a long warming up, we lined up at the start. I had a nice lane 4, with the two strongest competitors Petr Mitas on lane 6 and Kazimir Nedoba on lane 3. 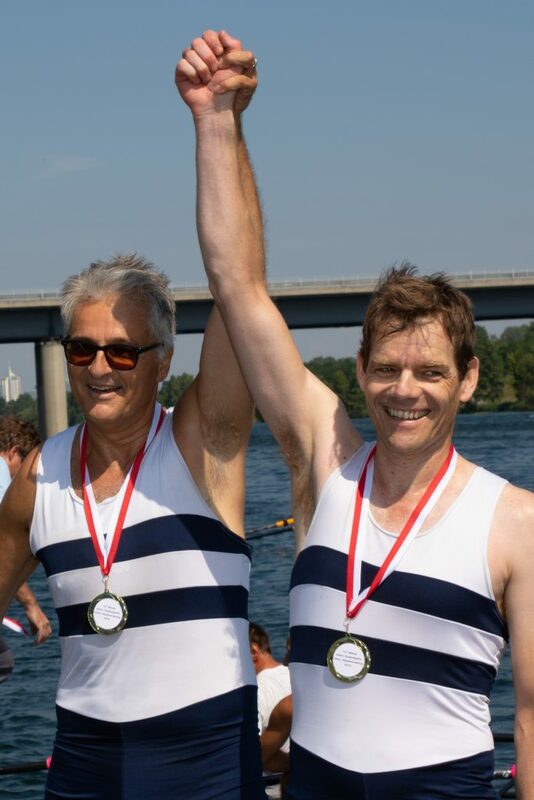 A strong rower also was Alexander Farkas from Piraten Wien, who had beat me by 8 seconds at the regatta in Vienna. 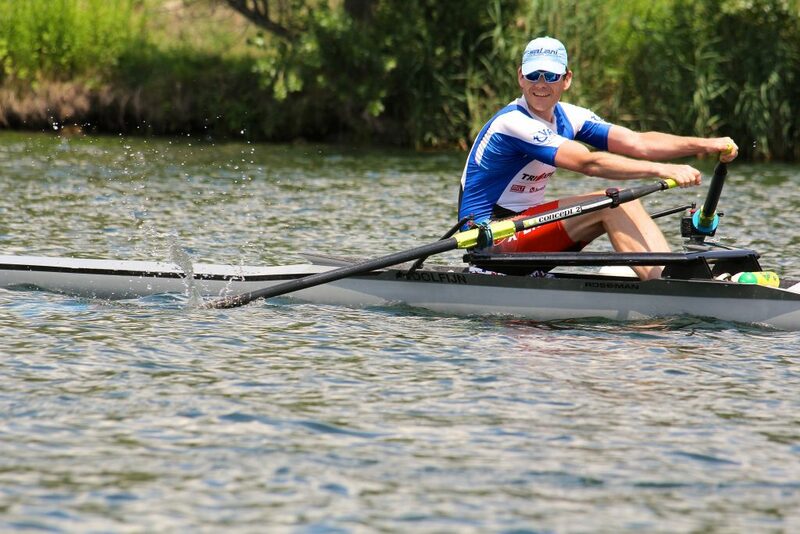 After a strong start I found myself leading for the first 250m, but Petr and Kazi were just a few meters behind me. In the second 250m, as I was slowing down a bit to find my sustainable pace, they rowed through me. With 600m to go, I rated up a bit, but Kazi was fending off pretty well. Then, with 300m to go, Alexander started to push pretty hard. I guess he wanted a bronze medal. And I didn’t want him to take it, so I rated up again. That brought both of us a bit closer to Kazi, but he managed to fight both of us pretty well. It also seemed that Alexander was not pushing any more, so with 150m to go pretty much nothing was happening any more in this race. So here is the end result. A bronze for me. I think it was the maximum achievable in the circumstances, and looking at the time, I am pretty happy with the result. 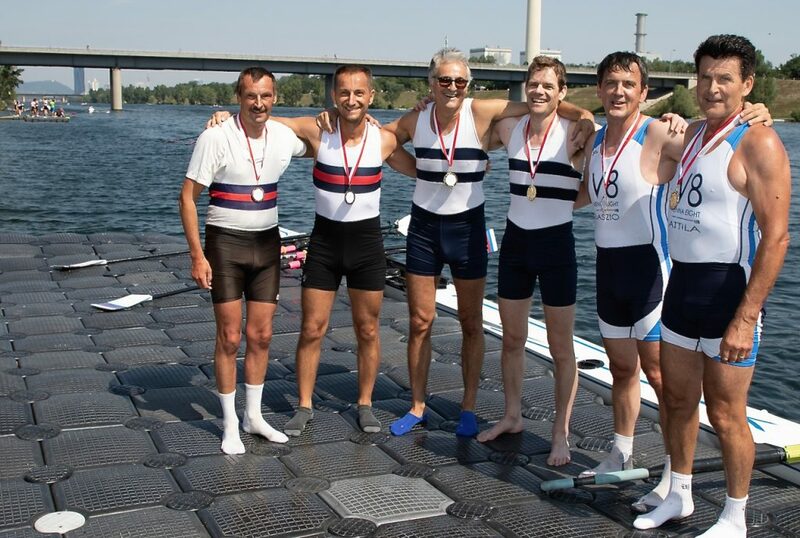 The 3:42 would have been competitive in the Masters A and B categories as well, although the fastest time of the day was an amazing 3:30 by Marko Milodanovic from Donaubund Vienna. 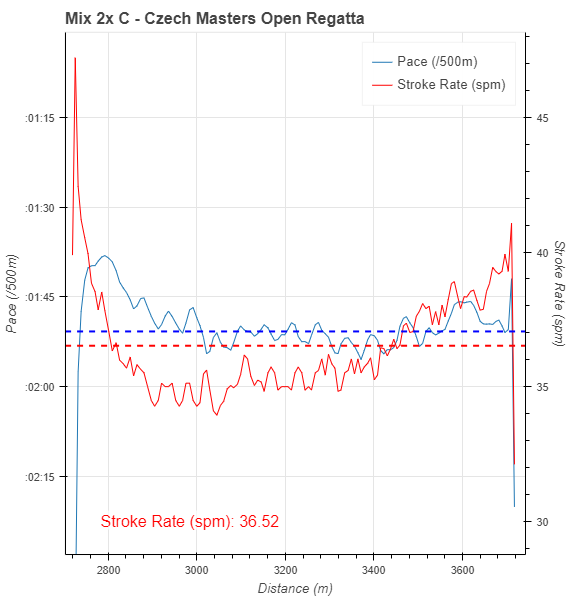 Here are the power, pace and stroke rate charts. You can clearly see the points where I upped the stroke rate. 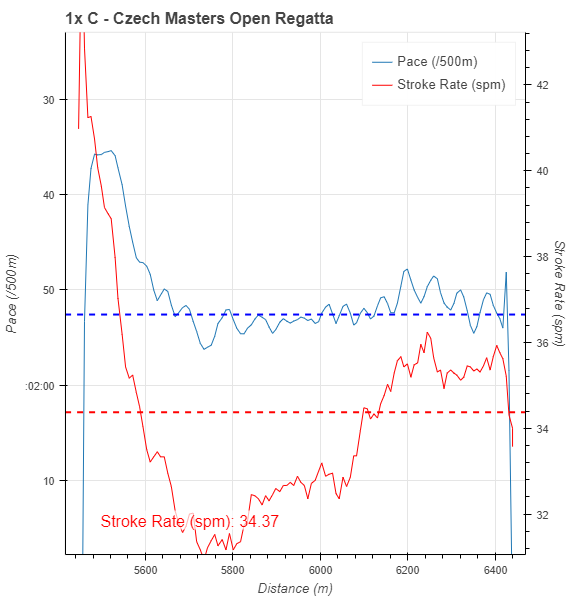 The 310W is 10W above my target, and looking at the data I am wondering whether I can gain a bit by not dropping the power and stroke rate as much after the initial 150m as I did in this race. Good preparation for Munich. In one of the races there, I will be up against Kazi again. My second race of the day was postponed by one hour because of a thunderstorm approaching the lake. 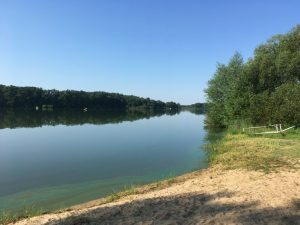 For about 30 minutes, the lake changed from mirror flat to heavy wind and waves with white caps. Racing was suspended for one hour , postponing everything. The lake didn’t return to its magical mirror flat quality after the thunderstorm, but when we were lining up for the quads, it was pretty rowable. Five boats at the start and on paper no one was a clear winner. I was sitting on stroke seat. I have raced one quad earlier this year, as had Tomas and Eduard, but Ondrej was new to this crew. And because of my business travel, the only training we had together was the row to the start. In other words, our training attendance was 100%. On our practice start, we lost one of the red C rings above the oarlock, so Eda on 3 was rowing with a slightly misaligned oarlock on his left hand scull. Our first race start was called back for a false start by Blesk on lane 1, next to us. The second start was okay from the false start perspective, but in the fourth stroke of our start sequency, there was a big vibration going through the boat. Then I heard Ondrej shout “OK I have it” and we continued. 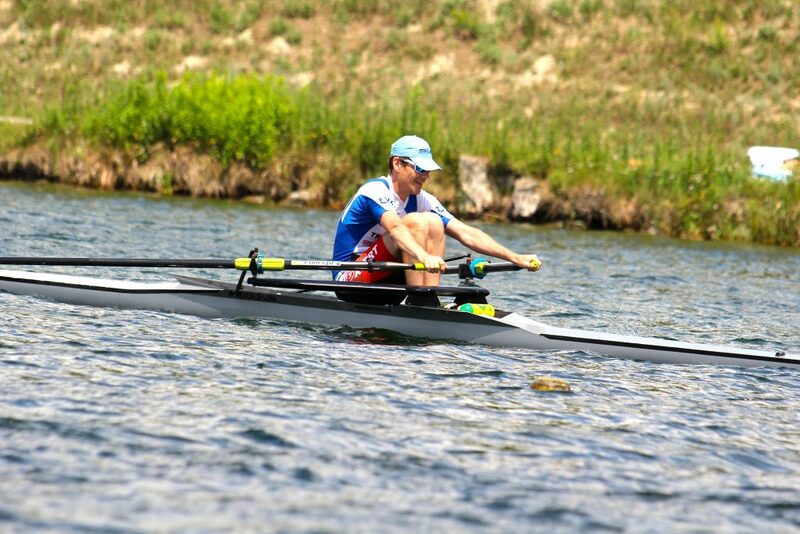 After the race, I learned that he had lost his right scull but managed to grab it in the air. With 500m to go we were five boats in one line. We may have been leading by a bit, but it was hard to see from the stroke position. Then Blesk II (lane 5) and Hodonin (stroked by my friend Kazimir Nedoba) overtook us. With one minute to go we upped the stroke rate, and we kept increasing it. With 100m to go we had passed Hodonin and were closing the gap on Blesk. We kept increasing the stroke rate. In the final 10 strokes I was doing 38 or 39 spm and we just kept going like crazy. Beep. We crossed the line. The speaker announced Blesk as the winner, we shouted our three hurrays for the winner and turned the boat, waiting for our turn to receive the silver medal. The commentator was going on about Tomas Karas (Olympic silver medal in Athens in the M4x) who was part of the Blesk crew. Blesk were getting their gold medals and hand shakes. Then, the speaker announced that the jury had come down from the tower to tell him that they were still studying the finish video. Then, he announced us as the winner. Blesk didn’t believe it and demanded to see the video still. The Blesk stroke disappeared into the finish tower, only to turn up a few moments later admitting that they hadn’t won. Their gold medals were taken back and they received the silver. And then it was our turn to receive the gold. We had won by a margin of 0.09 seconds! With our boat speeds, that is about 40cm. The chart tells the story of the stroke rate. Average spm over the race almost 38spm. This was a great race. Exhausting also. Another strong field of C rowers. The Dekanovsky’s, the Prihoda’s, the Cernaks and us all being married couples (imagine the pressure). 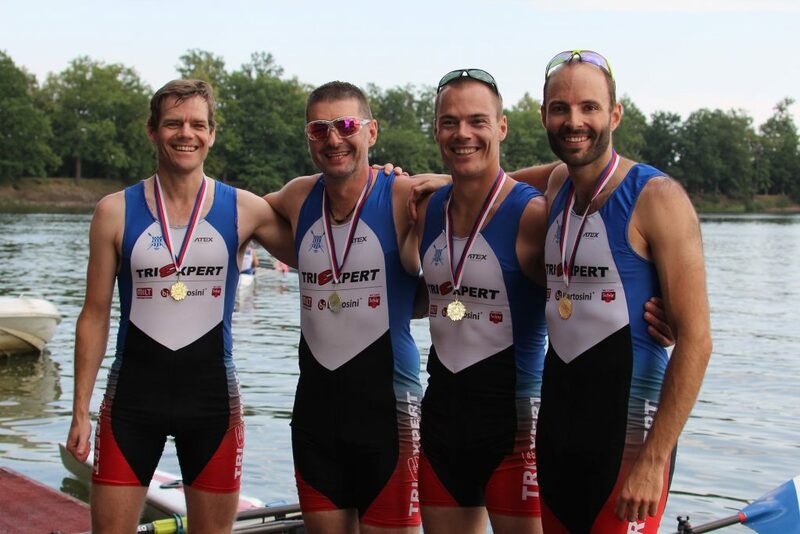 The Cernak’s were feeling strong after a recent international win at Trakai Sprints. The Dekanovsky’s had upgraded their boat, and the Prihoda’s were considered strong outsiders. Initially, the race looked quite different. We started pretty strong, but Pardubice (the Prihoda couple) just jumped away from all the other boats. Over on lane five, they just disappeared from my vision. I was aware they were in front, but they seemed very far away. 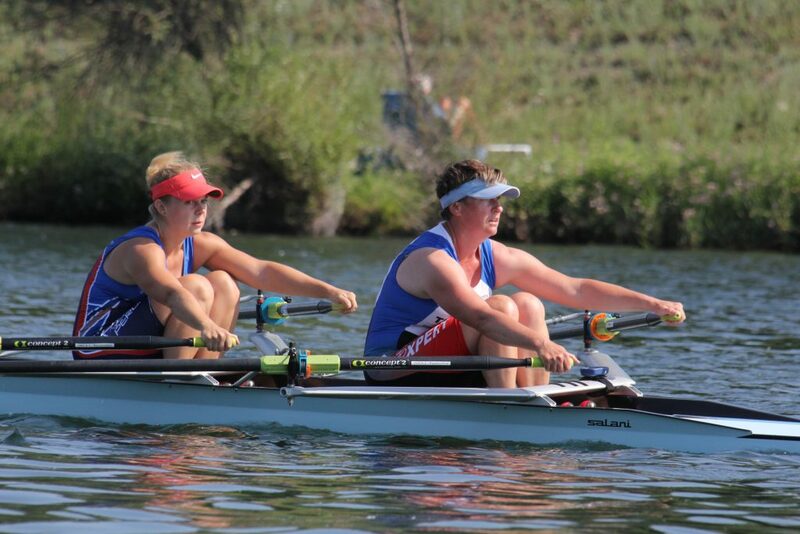 We were rowing hard to fence of the Dekanovsky couple, and over on lane six the Cernak couple was about level with us. With 500m to go, Jan Dekanovsky started a push and they just rowed through us. We seemed to have no answer. I was already rowing 35spm and we seemed to have a good rhythm. Then I started to push a little and we got back a little. Still, it looked like we were going to end in fourth place. I was counting strokes, and every five strokes I increased the stroke rate by a small bit. This killed the Cernaks who were now falling behind. Three boats storming towards the finish line. I kept increasing the stroke rate. Romana on bow was following flawlessly and we kept pushing. I didn’t look at the other boats any more and just kept pushing. I noticed how we managed to take back the Dekanovsky boat, but I was totally unaware that the Prihoda boat was now behind us. I had to listen to the speaker to hear the result. We won! By half a second. I was still breathing hard while standing on the medal pontoon. 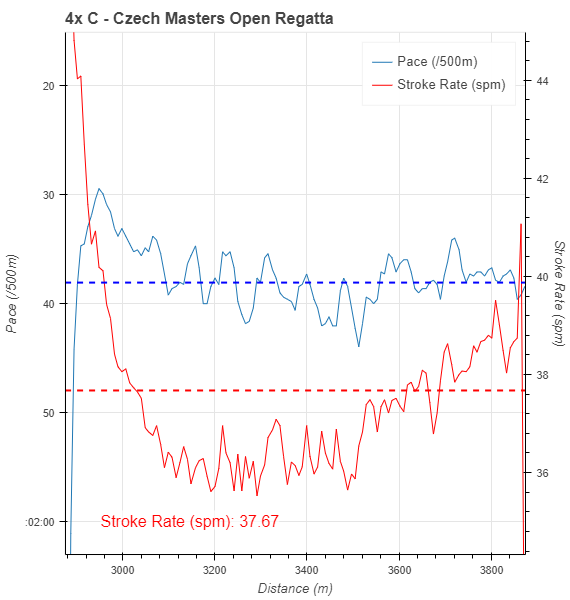 The stroke rate chart give you a good impression of how the race went. When we arrived back at the venue, we got cheers from our club mates. They had all cheered us from about the 500m mark, and one lady apparently had commented that “she wouldn’t want to sit on bow in my boat”. Yes, it was tough, but Romana was able to follow and we pushed through them. The Dekanovsky couple was happy as well. The Prihodas were not so happy and the Cernaks were silent. After this pretty heavy Saturday it was time to relax. 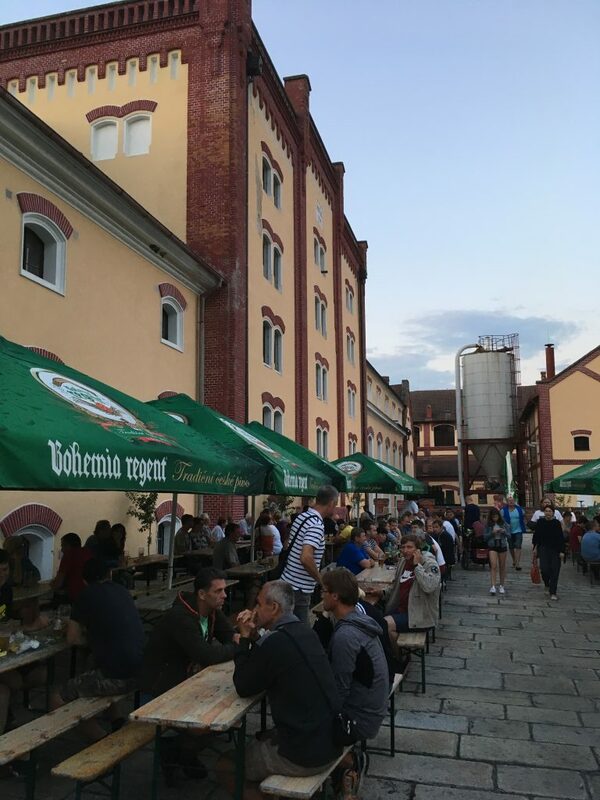 We went to a nice fish restaurant with the entire CVK Brno representation, and after that we went to the beer brewery to meet the other rowers. We also met the Blesk quad there, and of course we had to buy them a few beers.